Santa Clara is one of the oldest communities in the Bay Area. Founded in 1777 (and incorporated 160 years ago), the city is the site of one of California’s historic missions, and home to Santa Clara University—the oldest institution of higher learning in California. Today, the city continues to evolve dynamically, aided by its location in the heart of Silicon Valley. 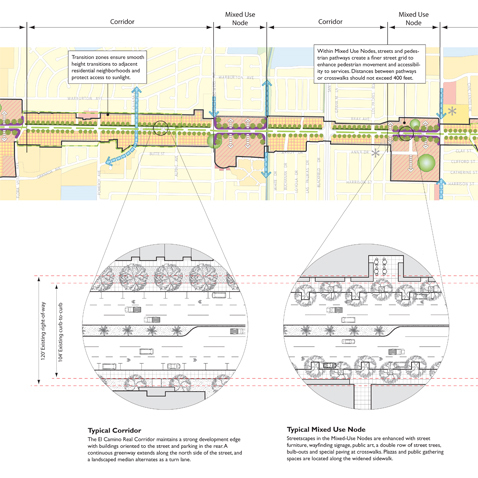 Dyett & Bhatia led a team of consultants to prepare the General Plan, which presents a phased-growth strategy, with strategic infill development in historic downtown and transit-accessible areas, and outlines strategies to enhance existing communities, foster walkability, and promote development of new neighborhood-scale commercial destinations. 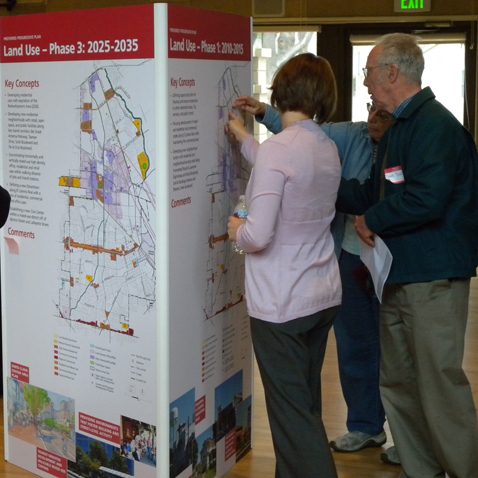 El Camino Real will emerge as mixed-use boulevard, served by a Bus Rapid Transit system. 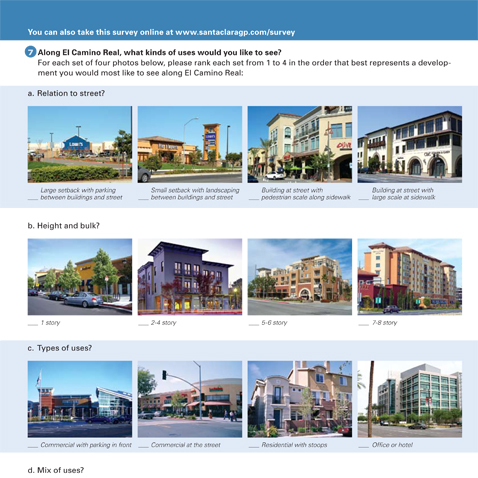 A new mixed-use district will emerge around the new BART station, reflecting policies of the Station Area Plan, also prepared by D&B. Dyett & Bhatia led an extensive outreach program, including a citywide survey in which several thousand residents participated, community workshops and open houses, citywide newsletters, as well as an active project website.